Perfect Fit for a cyclist is when the position is right, power in the legs and the mind is set for a great preformance. 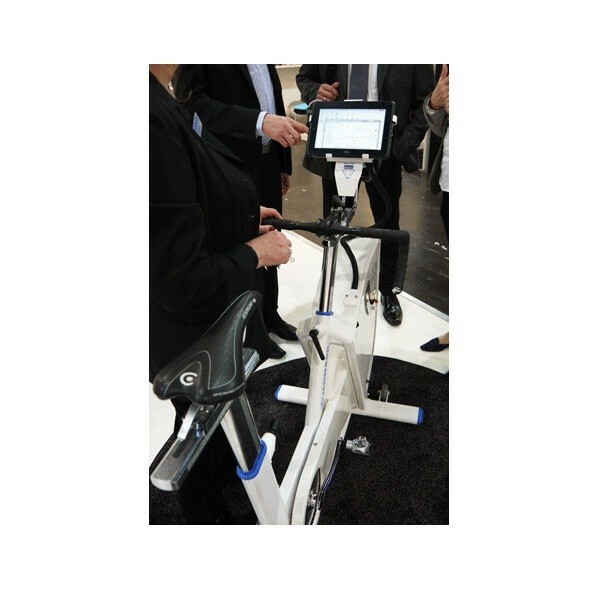 Monark LC7 Open Source Ergometer has stepless adjustability in all directions for a perfect position without affecting the rigidity of the frame. Monark’s classic bike feeling is even improved with LC7, new Q-factor and updated resistance system makes the feeling complete. Now it is up to the rider. Open Source is used within the software industry for an available program Monark LC7 is also available and adaptable. Standard components for easy exchange and upgrades of parts like crank systems. Channels and plates prepared for measurement equipment and software accessible for external devices. The Monark LC7 Open Source Ergometer is a great bike as it is, but now also easy to adapt for your specific needs. Modern Force shall not be mixed with the fact that measurement still belongs to the old physical laws. 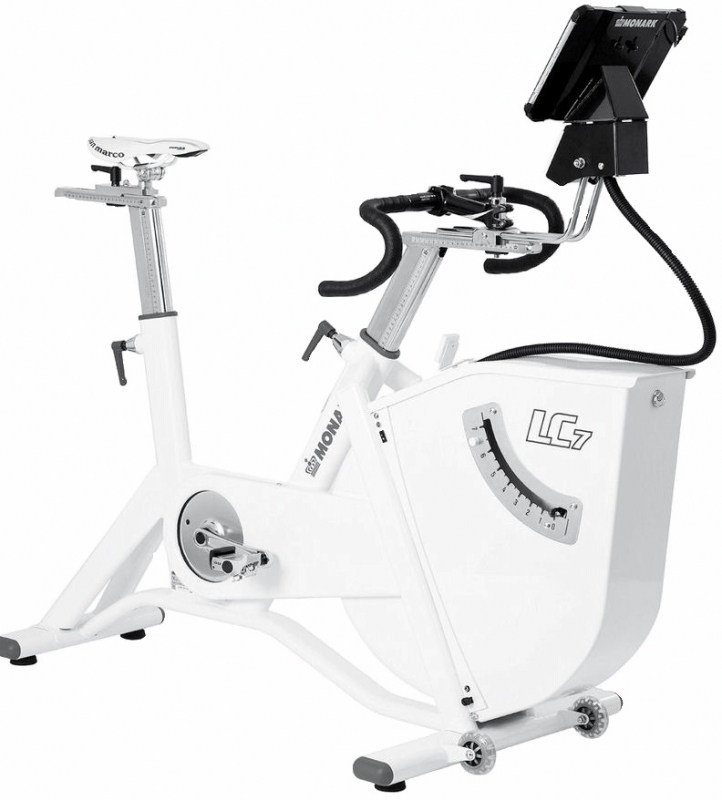 Calibration still has to be done, on Monark LC7 Open Source Ergometer the procedure is improved for better safety and accuracy. With the updated braking system of LC7 old force is speed independent, quickly adjusted but still controllable during use. Monark has always been known for accuracy, now it is even improved. 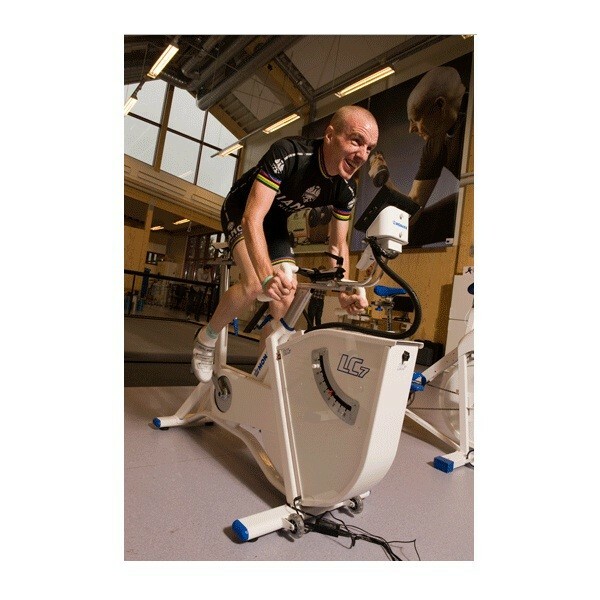 Order your Open Source Computerized Ergometer LC7 from FitnessZone.com today!